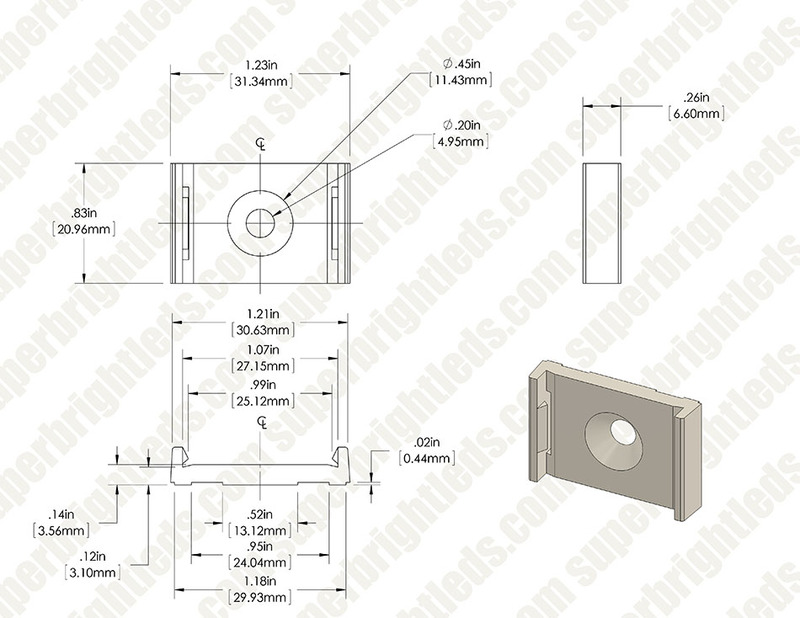 This mounting clip is compatible with GIP series LED profiles. 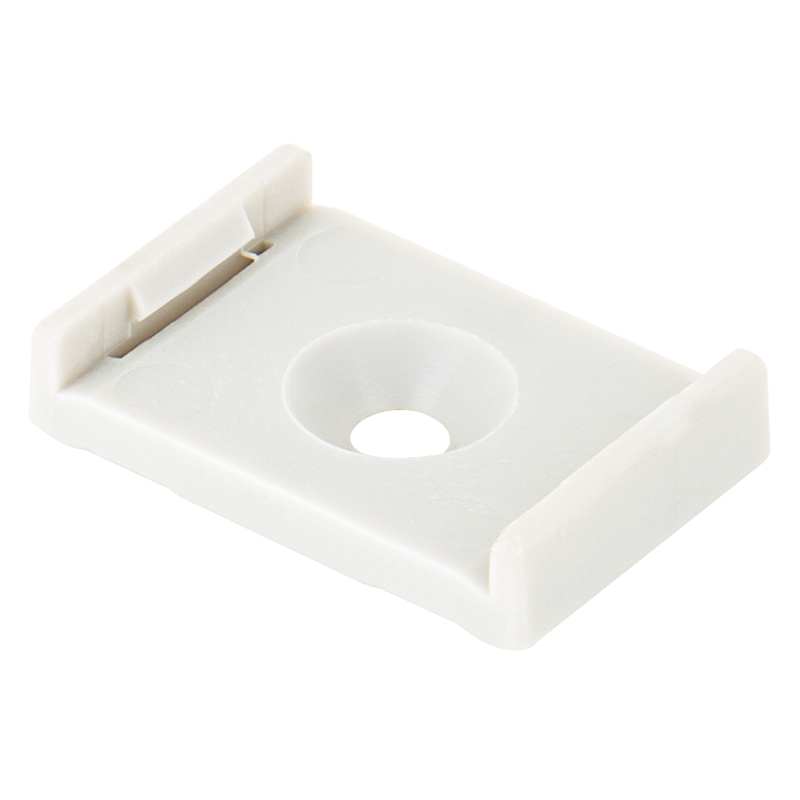 The durable plastic clip has one 5.9-mm (0.45") diameter hole for screw mounting. LED profiles can be easily snapped into the clip and removed with a flathead screwdriver.